Homemade bread buns are fun and so delicious. Toast them and top with a grilled burger, and it's heavenly. I offer several homemade bun recipes like: Four hour buns and graham buns. 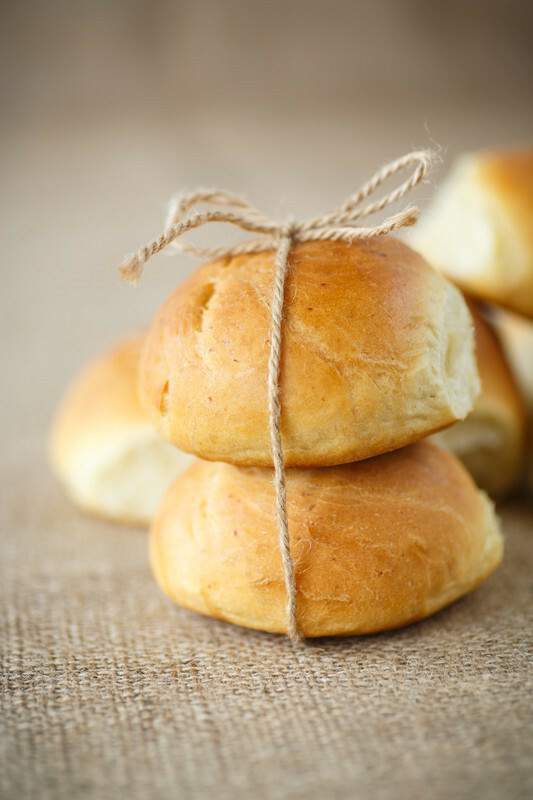 Homemade bread buns wouldn't be complete without my white bread bun recipe. Place yeast in a bowl and add warm water; let sit for 5 minutes. Set aside for 10 minutes to process. Combine the 3-1/2 cups of liquid with the sugar and salt. Stir to dissolve. Beat in 4 cups of the flour, yeast mixture and shortening until smooth. Add another 7 cups of flour, mixing with a spoon until the dough leaves the sides of the bowl. You can use the remaining cup of flour as needed, and knead until it becomes smooth and elastic and no longer sticky; approximately 5 to 10 minutes. Place dough in a greased bowl, grease top of dough and cover. Let rise in a warm place until doubled in size; approximately 1 to 1-1/2 hours. Punch down and let rise again until doubled in size (1 hour). Divide into 4 or 5 parts and shape into loaves or buns; put on a greased cookie sheet or in a loaf pan. Cover and let rise for another hour or so. When doubled in size again, PREHEAT oven to 375 degrees and bake for 20 minutes. 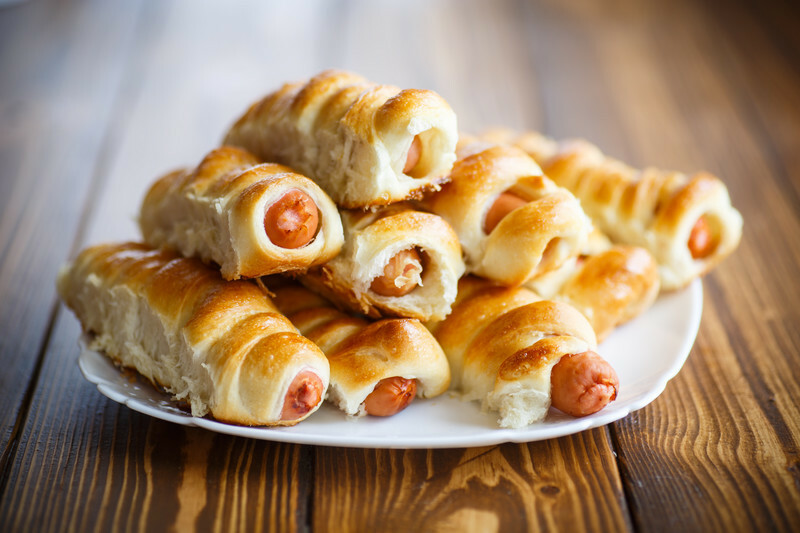 Try wrapping my White Bread Bun Dough Around Hot Dogs and Bake to Perfection. Nothing beats these homemade bread buns. This recipe is approximately 70 years old. It's a good one. Pour the warm water into a large bowl and add the yeast. Let stand for a few minutes and stir to dissolve. Add half of the flour, sugar, salt and shortening. Add egg and beat until smooth. Add the remaining flour. Work dough a little in the bowl until smooth. Grease the sides of the bowl and let rise in a warm place until doubled in size. Knead well and make into buns - whatever size or shape you want. You can also let it rise the second time and then make into buns. Bake for 10 to 15 minutes. *Graham flour can be purchased at the grocery store in the flour aisle. Bob's Red Mill and King Arthur flour make it. This dough will keep in the refrigerator for 7 days.